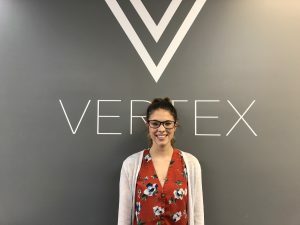 Mrs. Nicole Styron is the office manager and billing coordinator for Vertex PT Specialists. She was born and raised in Columbia, South Carolina, and graduated from the University of South Carolina in 2013 with a Bachelor’s Degree in Biological Sciences. 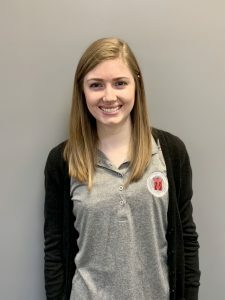 Nicole has worked in the physical therapy field for over 5 years, and prides herself on creating a welcoming atmosphere for all patients.When she is not focused on patient care, Nicole is studying to become a certified yoga instructor. In her free time she enjoys kayaking, reading a good book, and playing with her 3 dogs. Ashley was born and raised in Sumter, South Carolina. She graduated early from the University of South Carolina in 2018 with a Bachelor’s Degree in Exercise Science and a minor in Psychology. Ashley grew up dancing competitively, and continues to teach dance at the the Center for Dance Education and Miss Libby’s School of Dance. When Ashley is not working with children, she enjoys spending time with family, traveling, and playing with her dog Cali. Tristan, a South Carolina native, earned her doctorate of physical therapy from the University of South Carolina. She received her undergraduate degree from Francis Marion University, where she was a starting third baseman for the Patriot softball team earning various awards such as Team MVP and PBC All-Conference Third Baseman. 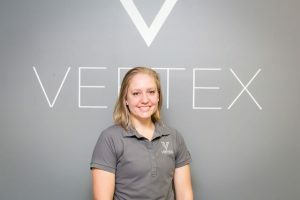 Her biggest interest within the world of physical therapy is in the athletic and tactical strengthening communities; however, she prides herself on her ability to build relationships with patients of all ages and activity levels. Tristan enjoys various outside activities, such as rock climbing and trail running. She competed in obstacle course races regularly, until she was stopped by an injury – which she rehabilitated at Vertex PT Specialists. As such, she’s excited to go on the other side of the wall and help patients like herself get better, faster. 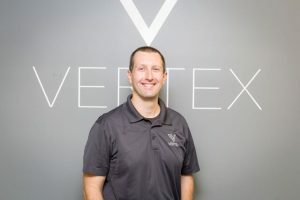 Dr. Jim Floyd is the co-owner of Vertex PT Specialists. Additionally, he serves in a Clinical Associate Faculty role in the University of South Carolina Doctor of Physical Therapy program. Dr. Floyd earned his Doctor of Physical Therapy from the University of South Carolina in 2009. 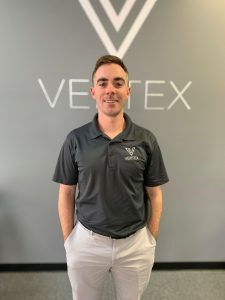 He has continued his post graduate training by earning certifications in Dry Needling through the American Academy of Manipulative Therapy, the Functional Movement Screen through Functional Movement Systems, and golf assessment and training/rehab through the Titleist Performance Institute. Dr. Floyd has worked as a specialized personal trainer since 2007 and has attained the Certified Strength and Conditioning Specialist and Certified Special Populations Specialist credentials through the National Strength and Conditioning Association. He has also been a featured presenter on movement assessment and treatment principles at multiple conferences and university community events. Dr. Floyd specializes in the treatment of orthopedic conditions through the use of advanced manual therapy techniques, dry needling, movement assessment, and skilled exercise intervention. Through this comprehensive approach to orthopedic physical therapy treatment and exercise training, he has established himself as a premier provider of rehab and wellness services for the region. Dr. Floyd’s special interests include movement assessment and biomechanics, performance training, and manual physical therapy treatment principles. 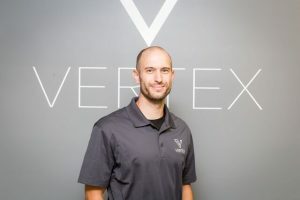 Sean earned his Doctor of Physical Therapy degree from Wingate University in 2017, and earned his Bachelor of Science degree in Kinesiology with a concentration in Exercise Science from James Madison University in 2013. Originally from Northern Virginia, Sean has travelled the country and overseas while growing up in a military family. He always had a strong interest in a variety of sports, but focused mainly on hockey and lacrosse. He began coaching CrossFit in 2012, and is currently a CrossFit Level-2 Trainer, a Level 1 Sports Performance Coach through USA Weightlifting, and a Certified Strength and Conditioning Specialist through the NSCA. His passion in physical therapy lies in treating active populations of all ages. Recreationally, Sean regularly competes in CrossFit, Olympic weightlifting and powerlifting, and enjoys helping others to achieve their fitness and competitive goals. Manya was born and raised in Columbia, South Carolina. She earned both her Doctor of Physical Therapy (2018) and her Bachelor of Exercise Science (2015) from the University of South Carolina. She is an avid Gamecock fan. Manya grew up competing in gymnastics through high school and even helped start the Gamecock Gymnastics Club at USC. She currently volunteers with the Gamecock Gymnastics Club. She has also coached all through college and PT school. She enjoys watching kids learn new skills and overcome injuries along the way, getting better, faster. Manya enjoys coffee, barre and yoga, attending any and all Carolina sporting events, and watching gymnastics whenever it is on TV. Casey earned both his Doctor of Physical Therapy degree (2018) and Bachelor of Exercise Science degree (2014) from the University of South Carolina. Growing up in Charlotte North Carolina, Casey developed a passion for exercise and sports as he played football and basketball. 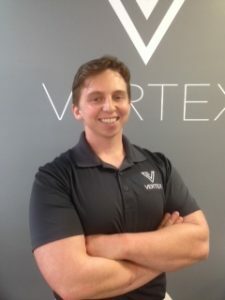 This led him to a career in physical therapy where he is able to utilize fundamentals of exercise along with other skills and techniques to assist others in accomplishing their personal goals. Outside of work, Casey is an avid sports fan, and he enjoys working out as well as playing recreational sports. He spends most of his time with his fiancée, Jennifer, and their two dogs, Opie and Lola. Together, they enjoy traveling, hiking, and going to local craft breweries in the places they visit. 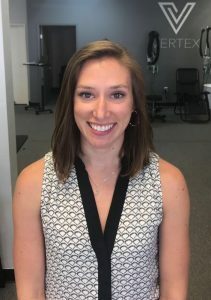 Elizabeth is a physical therapist and yoga teacher and enjoys the blend of both perspectives in educating clients in wellness and rehabilitation. She received her Yoga Alliance teacher training in 2004, her Doctorate in Physical Therapy in 2005 from Elon University and her Orthopedic Specialty Certification in physical therapy in 2008. 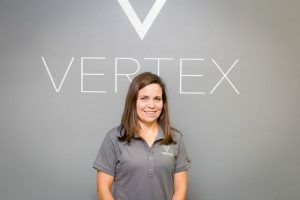 She has more than a decade of experience as a physical therapist specializing in spine rehabilitation as well as running and yoga injury and injury prevention. She is currently a PhD student in Exercise Science with a concentration in rehabilitation at the University of South Carolina. Elizabeth has 2 small children and enjoys running after them, running for exercise and her own yoga practice.